The Introduction focuses on the central notions of diversity and social development which cover vast domains of conceptual and theoretical knowledge. As diversity has become the defining characteristic of our social and cultural worlds, it raises new questions and demands for both social scientists and policymakers. The core issues, consequences and challenges of diversity are explicated. 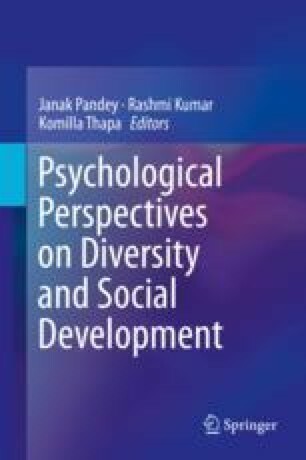 The aspects of diversity as discussed in this volume including multiculturalism, caste, religions and linguistic diversities and disability are the focus of this chapter. As development is an essentially contested concept and is progressively evolving, the different connotations and meaning of development are discussed. Diao, X., McMillan, M., & Rodrik, D. (2017). The recent growth boom in developing economies: A structural change perspective (CEPR Discussion Paper, No. DP11804). Available at SSRN: https://ssrn.com/abstract: 2908217.